Besides that, If you want to create a copy of your website for testing, this tool provides an immediate solution by cloning your entire website and creating a duplicate copy elsewhere. + Can configure to save backups at the web folder or remote storage (Backups can be directly saved on external FTP/SFTP servers). + Can create a copy of your site for testing by uploading the backup from production site into web folder of the testing site then restore it. + Email notifications are sent to designated email addresses for backup completion. These notifications contain information about the backups. + You can download backup to computer and save on storage discs like hard discs, CDs, DVDs, etc. + Guideline: quick guideline for you to understand how to use the plugin. + Save directly into a sub-folder of current web folder. 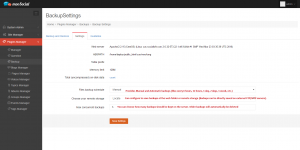 This is default backup option, the backup will save at the same server and folder of your website. + Save the backups at other server (remote storage) via FTP or SFTP: you need to enter ftp/sftp credentials at settings tab. You need to setup con crontab on your server after installed the plugin. My server has a problem and I have to re-install website again from scratch. I have a backup of site in my Local computer/remote storage, what I should do to restore? Or I want to create a copy of my existing production for testing, what should I do? 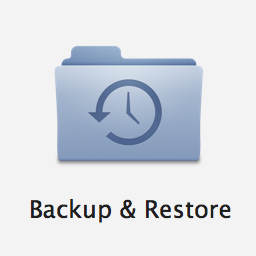 + Once the backups are loaded into backup list, you just simply click on “Restore” on the item you want to restore and wait. Contact us at support@moosocial.com if you have any problems. Note: demo link of this plugin is not available.